Group shot of the first South Bay Urban Sketchers Meetup of the new year: Hakone Gardens. I’d like to share with you the Meetup group with which I am the founder and organizer: The South Bay Urban Sketchers (SBUS). SBUS exists to bring together artists of all skill levels to draw urban environments with a focus on people, architecture, and community events. Geographically, SBUS covers the South Bay from Palo Alto to Santa Cruz. 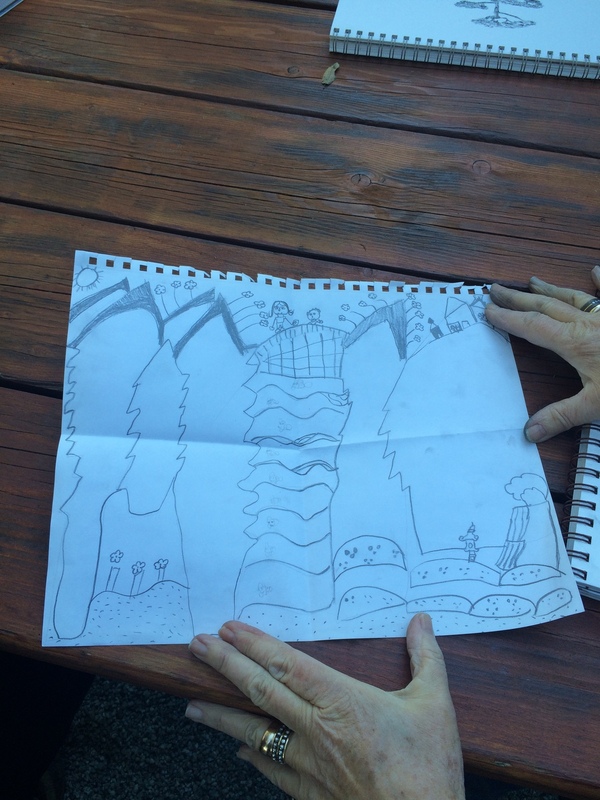 With SBUS, I aim to promote community engagement through site-specific drawing. During these meetups, artists draw their surroundings through direct observation, using a variety of pen & ink, watercolors, markers, acrylic paints and digital tablets like iPads. 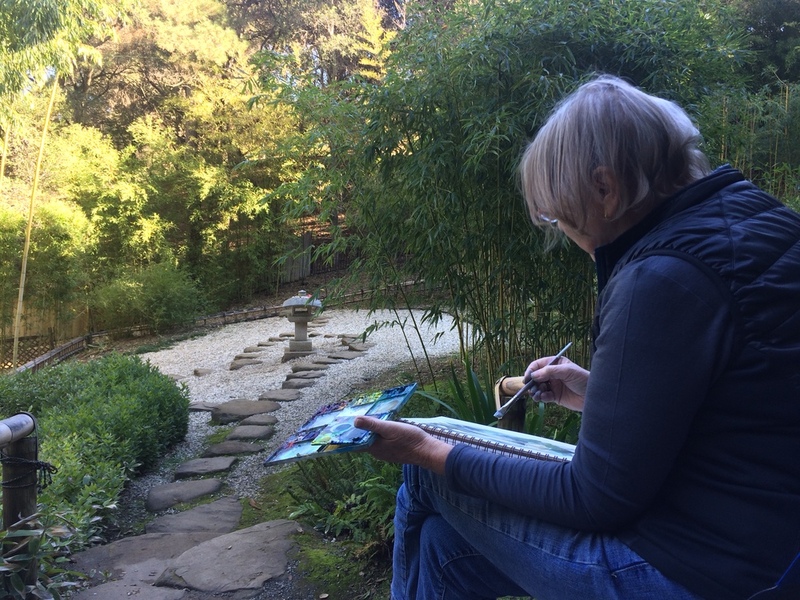 This year, SBUS has hosted drawing events in downtown San Jose, and Hakone Gardens, the oldest Japanese estate in the Western Hemisphere. In February, SBUS will host sketchrawls through historic downtown city centers of Los Gatos, and Mountain View, CA. SBUS will return to Hakone Gardens in March, to draw the Lunar New Year celebration. I created SBUS to establish a network of artists that can learn from one another. 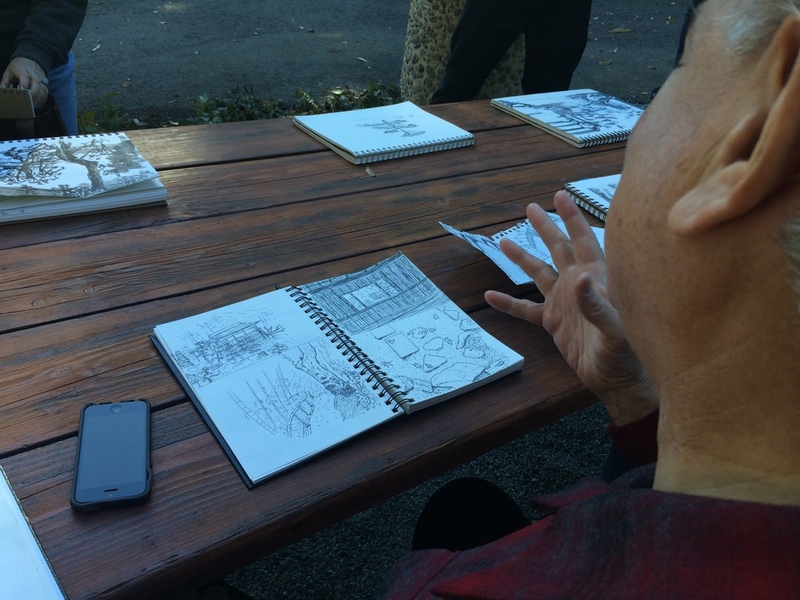 Members of SBUS are at different skill levels, and it is exciting to see how different artists solve problems associated with drawing from life in public spaces. SBUS also exists to raise awareness that drawing does not have to start with talent, but with picking up a sketchbook and observing your surroundings. Drawing from life helps us all truly soak in our environments and create memories that stay clear. Drawing is not about the final rendering, but the experience of creating. Check out the gallery below to see the SBUS sketchers in action!